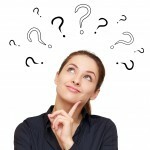 Frequently Asked NC Workers’ Comp Questions. Below are answers some of the most frequently asked NC workers’ comp questions provided by Board Certified NC Workers’ Compensation Attorney Kevin Bunn. Please call or email for your free consultation. Who is required to be covered by workers’ compensation in NC? Almost all companies that regularly employ three or more part-time or full-time employees are required to provide workers’ compensation in North Carolina. Part time and most temporary workers are counted as employees under NC workers’ comp law. There are special rules for contractors and trucking operations that require coverage in some cases even if there is only one worker. Corporate officers count towards the three employee rule unless they opt out of coverage. Members of LLC’s do not count towards the three worker rule unless they opt in. There are special NC workers’ comp rules for non-profit corporations. Workers’ comp in NC is mandatory and cannot be waived even by written agreement between the employer and the employee. A person who is in an independent trade or profession that provides services pursuant to a written or oral agreement can be an independent contractor instead of an employee. Whether a worker is an independent contractor or an employee under NC workers’ compensation law is determined by a number of factors but generally comes down to the level of control exercised by the employer over the work the employee does. It does not much matter what the parties call the relationship. A true independent contractor is usually not covered by workers’ comp in North Carolina. There are special rules that require certain contractors and subcontractors and truckers to be covered by workers’ comp even if they are independent contractors. Some employers misclassify employees as independent contractors in order to avoid paying workers’ comp and payroll taxes. When an independent contractor gets hurt on the job in North Carolina, the NC Industrial Commission will look closely at the relationship. If the Industrial Commission determines that the injured worker is really an employee and not an independent contractor then the employer may be personally responsible for paying NC workers’ comp benefits to the injured worker as well as penalties. Do I have a NC workers’ comp case? Not all injuries that happen on-the-job in NC are covered by workers’ compensation. Workers’ comp covers injuries that result from an “accident” that happens while an employee is in the “course and scope” of his or her employment. An “accident” is an unexpected event that leads to an injury. Injuries that occur while an employee is doing his or her job in the normal way may not be coveredBack injuries are an exception and are covered if the employee can point to a “specific traumatic incident” when the back injury occurred. “Course and scope” of employment means an activity that is related to work that benefits the employer. While there are exceptions, injuries that occur traveling to and from the employee’s normal workplace are not covered by workers’ compensation in North Carolina. How do I file my NC workers’ comp case? If you are injured on the job in North Carolina you should immediately file a Form 18 with the North Carolina Industrial Commission. The Industrial Commission will sent the employer’s workers’ compensation insurance company notice of the claim. Give a copy of the Form 18 to your employer. Be sure to carefully and completely describe the “accident” that caused the injury. File a claim with the Industrial Commission even if your employer knows about the injury. Do not rely on your employer to file your claim with the Industrial Commission or to give notice to their workers’ compensation insurance carrier. What is the time limit on filing a workers’ comp claim in NC? Employees should file their injury by accident claim within thirty days of the injury, but the failure to do so may not end the case. Injury by accident claims MUST be filed within two years of the date of injury unless wage replacement compensation is paid by the employer. If the employer has paid for medical treatment then the claim must be filed within two years from the last payment of for that treatment. What should I do if my NC workers’ compensation claim is denied? Many valid workers’ comp claims in NC are denied by the employer or the employer’s workers’ compensation insurance company. Frequent reasons for denial include a delay in giving notice or filing the claim, questions over whether the injury was the result of a workplace accident, and questions about whether the worker was an independent contractor. Injured workers have the right to file a Form 33 Request for Hearing with the NC Industrial Commission to determine whether their injury should be covered by workers’ comp. You should consult a Board Certified Workers’ Compensation Attorney to assist you before filing for a hearing in a NC workers’ comp case. Your employer or its workers’ comp insurance company must pay for medical treatment that will cure your injury, help get you back to work, or relieve pain. Medical treatment is provided for the injured body part as well as any other medical conditions that are a “direct and natural” consequence of the injury. How long does my medical treatment last? The right to medical treatment ends two years after the last payment of any medical or wage replacement benefits. Injured workers should consider this deadline when accepting the payment of a permanent partial disability rating. You can prevent the expiration of medical benefits by filing a Form 18M with the North Carolina Industrial Commission. Medical treatment may be denied if you unreasonably refuse to cooperate with treatment or let a long period of time lapse without treatment. Who picks my workers’ comp doctor? The employer has the first opportunity to select the doctor who will provide the injured worker’s medical treatment. Employees may ask the Industrial Commission to approve a change in doctors if the employee can show that a change is required cure the injury, reduce pain or help them return to work. An injured worker can also ask for a second opinion on their condition with another doctor and for a second opinion with a physician of their choice on any Permanent Partial Disability rating. What do I do if my employer denies medical treatment? If an employer or its insurance company refuses to authorize medical treatment that has been recommended for the injured worker by an authorized doctor then the worker may file a Medical Motion asking the Industrial Commission to approve the treatment. Can I be reimbursed for mileage for medical treatment? Injured workers who drive more than 20 miles round-trip for medical treatment may be reimbursed for mileage. The amount of the reimbursement is set annually by the NC Industrial Commission based on a rate set by the IRS. Mileage should be reported to the workers’ comp insurance company or third party administrator on an Industrial Commission Form 25T. Employers may hire a nurse case manager to coordinate an injured workers medical treatment. Nurse case managers must abide by the North Carolina Industrial Commission Rules for Utilization of Rehabilitation Professionals in Workers’ Compensation Claims and must exercise independence judgment in their efforts. Nurse case managers may attend doctor’s appointments and may discuss the employee’s treatment with the doctor. However injured workers have the absolute right to a private visit with their physician. When can I get disability payments in NC workers’ comp? If you suffer wage loss or a permanent physical impairment because of a NC workers’ compensation injury you may be entitled to disability benefits. Benefits can be paid for total disability, which means you are not able to work in any employment suitable to you, as well as partial disability, which means you have returned to work at a lower wage. Disability payments are usually made weekly. Generally your authorized treating doctor will determine your work restrictions. If you and your employer disagree about whether you are disabled the Industrial Commission will determine the issue. Is there a waiting period to receive workers’ comp payments in NC? There is a seven day waiting period to receive disability. The seven days do not have to be consecutive and if you miss any part of a day that counts towards the seven days. If your disability lasts for twenty one days then you should be paid benefits for the initial seven day waiting period. How long can disability benefits last? For cases after June 24, 2011, wage replacement benefits can continue for up to 500 weeks, with the possibility of an extension in certain circumstances. There is no cap on total disability benefits for cases that arose prior to that date. How much is the workers’ comp disability benefit payment in NC? The amount of the total disability payment is 2/3rds of the employee’s Average Weekly Wage (AWW). AWW is based on pre-tax earnings before the accident, and includes any overtime and bonuses as well as any non-wage allowances such as a per diem. The amount of the partial disability payment is 2/3rds of the difference between the employee’s wage before and after the injury. 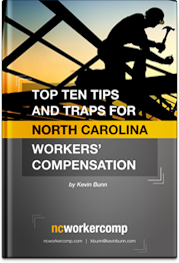 The compensation rate is capped at an amount set yearly by the NC Industrial Commission. When can my employer stop my disability payments? When an injured worker is being paid weekly wage replacement benefits the employer may only stop benefits when the employee returns to work or when the employer convinces the Industrial Commission that the employee is no longer disabled. What is a permanent partial disability “rating” in NC workers’ comp? When an injured worker suffers a permanent injury to one of the body parts listed in N.C.G.S. § 97-31 the employee is entitled to receive compensation for Permanent Partial Disability. The employee is entitled elect between Temporary Partial Disability rating and the Permanent Partial Disability rating benefit. The payment of a rating is not a settlement and does not automatically terminate the employee’s eligibility for medical benefits however it can begin that process. An employee’s right to additional wage replacement benefits terminates two years from the payment of the rating unless the employee claims a change in condition prior to that time. If the injured employee elects to receive payment of the disability rating then the employee has two years from the date of receipt of the payment to file a claim for a “change in condition.” A change in condition under workers’ comp in NC requires a showing of a substantial worsening of the injury, such as an increase in the rating or a reduced ability to work. How is a disability rating calculated? Each scheduled body part is assigned a specific number of weeks of benefits in N.C.G.S. § 97-31. The authorized treating doctor will determine a percentage disability rating for the body part. The PPD disability rating is calculated by multiplying the impairment rating percentage, by the injured workers’ compensation rate and the number of weeks assigned to the injured body part. Workers are often exposed to health risks in their employment that can lead to disabling medical conditions. These include exposure to chemicals or other harmful agents, and physical activities that are repetitive or otherwise damaging. Under certain circumstances these work related medical conditions can be covered under workers’ comp as an occupational disease. If a condition is listed in N.C.G.S. § 97-53 the employee need only show that their employment caused or substantially contributed to the condition. Employees with a condition that is not listed in N.C.G.S. § 97-53 must also that their employment placed them at an increased risk as compared to the general public for developing the condition, as well as that the employment caused or contributed to the condition. How long do I have to file my occupational disease case in NC? Unless wage replacement benefits are paid, an occupational disease claim must be filed with the North Carolina Industrial Commission within two years of the latter of 1) the date the employee is told by a doctor that he or she has a work related disease, or 2) the date the employee is first disabled as a result of the medical condition. If the employer or carrier has paid medical treatment for the disease the NC workers’ compensation claim must be filed within two years of the last payment of medical expenses. What if a loved one dies on the job in NC? An employee’s death may be covered by workers’ compensation in NC if it is related to a workplace injury by accident or occupational disease, and occurs within 1) six years from the date of an injury or onset of disability related to an occupational disease, or 2) two years from a “final determination of disability.” There are complicated rules that determine who receives benefits in a workers’ compensation death claim in NC and how long benefits are paid. Should I settle or “clincher” my NC workers’ comp case? A “clincher” is a full and final settlement of a North Carolina workers’ comp case and ends all medical and wage replacement benefits. A badly injured worker with an accepted workers’ comp claim who is permanently disabled and will require continuing medical treatment will usually be better off letting the employer/insurer pay lifetime wage replacement and medical benefits. In accepted cases it is usually better for an injured worker to conclude his or her medical treatment before beginning settlement discussions. A worker thinking about a settlement should carefully consider the impact of a settlement on other benefits, including Social Security disability, Medicare, Medicaid, private long or short term disability policies, and Social Security retirement. Finally, it is important to note that the payment of a rating is not a settlement, but does mark the beginning of an important two year deadline for additional benefits. How much should I settle my NC workers’ comp case for? The value of a workers’ comp case in NC depends on many factors, including the need for future medical treatment, how much that treatment will cost, and the value of future wage replacement benefits. There is no formula for determining the value of a NC workers’ comp claim. If you are likely to need medical treatment in the future or if you are not able to return to your prior work you should contact a Board Certified NC Workers’ Compensation Attorney before settling your case. What is a Board Certified North Carolina Workers’ Compensation Lawyer? The North Carolina State Bar certifies as “workers’ compensation specialists” lawyers who complete complete certain requirements. To be eligible for certification as a workers’ comp expert lawyer in NC, a workers’ comp attorney must regularly practice workers’ compensation law, attend advanced training yearly in NC workers’ compensation, and be certified by his or her fellow lawyers as having a high level of knowledge about workers’ compensation in NC as well as good character and standing in the legal community. In addition the NC workers’ compensation lawyer must pass a workers’ compensation exam administered by the North Carolina State Bar. Less than one hundred and fifty attorneys across the State have been certified as Board Certified Specialists in NC Workers’ Compensation Law. Approximately one half of these lawyers represent injured workers while the rest represent employers. The above answers to some of the most frequently asked NC workers’ comp questions are provided by Board Certified NC Workers’ Compensation Lawyer Kevin Bunn. Please call or email for your free consultation.